At Pure Spice, a little piece of heaven costs $2.85. 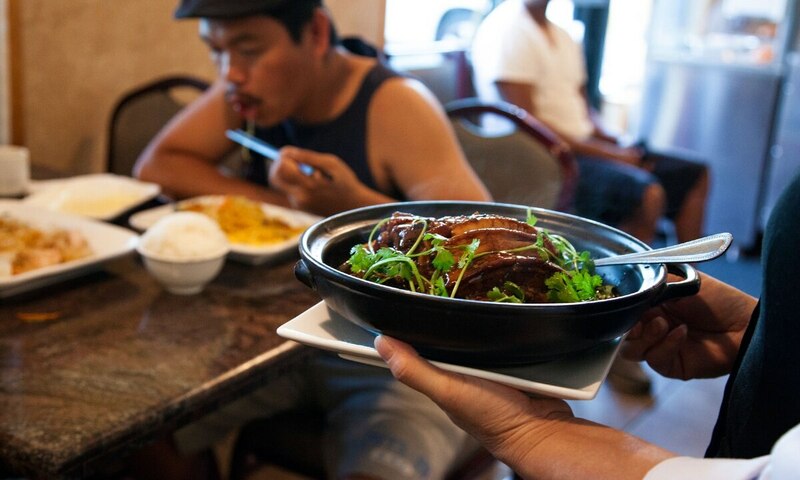 At the Division Street Chinese spot's dim sum brunch, that's the price of delicate hand-pulled rice noodles as layered as filo, doused in vinegar-savory sauce and folded in with a garden of barbecue pork or shrimp or simple chives and scallions. It is also the price of three ha gow dumplings—delicate rice-noodle purses bursting with shrimp and chive flavor—and of four impossibly pork-packed pockets of shumai. In fact, everything on the front side of the menu costs $2.85, all of it solid. Split 10 trays as a pair, and you might never leave.